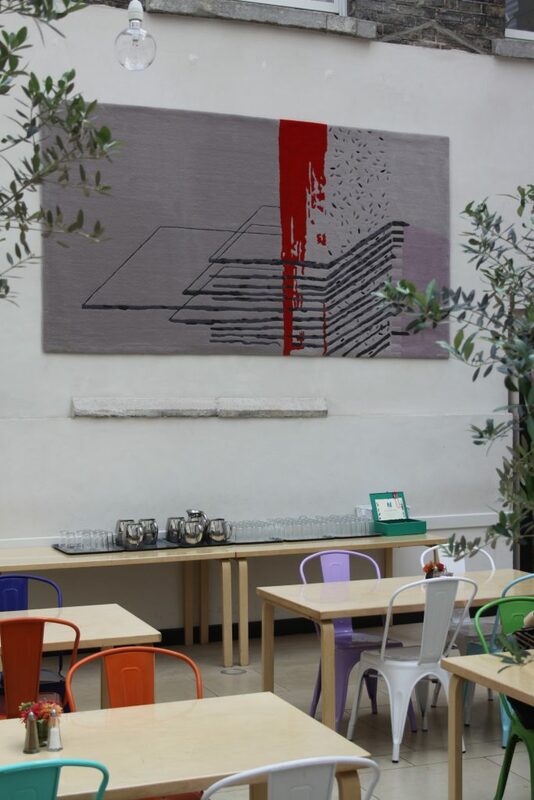 We are delighted that the National Gallery are displaying ‘Berlin’, a rug designed by NCAD student Noirin O’Brien and gun-tufted by us at Ceadogán. In March of this year a group of 20 textile students from NCAD visited our workshop and studio in Wexford. Guided by their tutors they returned to college to begin research and design. On the last day of term the Ceadogán team travelled to Dublin to see the completed designs and to meet with the students individually. Two of the student designs were chosen to be made into rugs. ‘Berlin’ is a unique piece designed by Noirin O’Brien following a visit there and inspired by the city’s architecture. 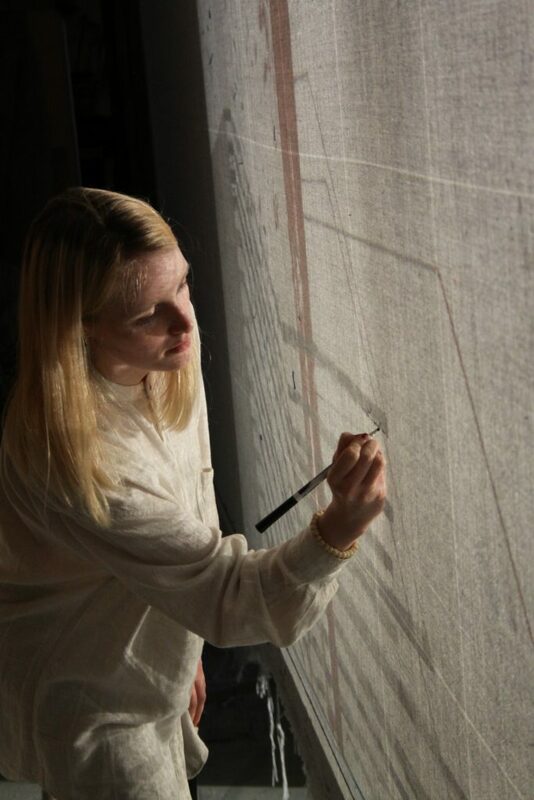 The second rug will be produced in an edition of 10, is designed by Zoe Choy O’Byrne and available on our website. ‘Berlin’ will be auctioned at a fundraising Gala Dinner in Clontarf Castle in November and the proceeds will go to the Peter McVerry Trust in aid of the homeless.